my 2007 ford ranger. my new 2007 ford ranger. Wallpaper and background images in the Alpha and Omega club tagged: alpha. This Alpha and Omega photo might contain pick-up, pick-up truck, and pickup. i barley know anything about trucks but that looks like a nice one!!! is it all wheel drive? She's a beauty! 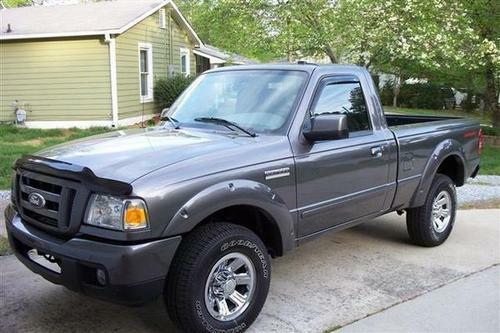 Love the color, straight cab, automatic transmission, 4x4, and a V6, am i right? the bed looks to be about 6 feet long? It could be 7 if it is the longbed truck.l My Tacoma has a standard 6 foot bed which works great only whenever I have to haul my dirtbike I have to leave the gate down or just put the bike in there sideways and it will close!